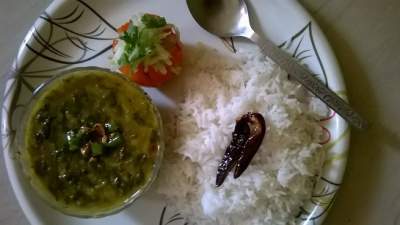 This is a traditional recipe from eastern UP usually prepared during Makar Sankranti. It is a kind of substitute to dahi wada. It is usually spicy but you can relish it with sweet tamarind chutney. I like it spicy so here is how i make & relish it..
Soak dal for about 4 hrs. Coarsly ground it by adding very small amount of water along with ginger,green chilli, cumin seeds,asafoetida,.Keep it aside for 15 min. Meanwhile add a glass of water in the curd & mix it well. Add remaining salt & all other spices in curd.Heat a wok & put oil to it. Wet your hand & make small balls of dal mix & deep fry. Take them on kitchen towel & then put these balls into the curd mix. Let them soaked for atleast 1 hr.These balls will absorb curd & the mix becomes thick. While eating you can top it up with some more cumin powder & mint powder. You can also add fresh chopped corriander. Serve at room temperature along with khichdi of your choice. You can serve it by adding green / tamarind chutney. 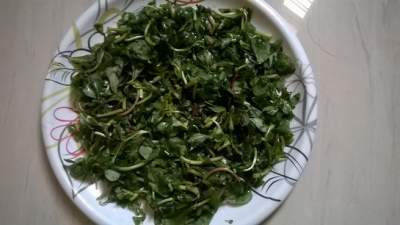 This is a traditional recipe from eastern UP & is now a kind of extinct recipe because of obvious new generations liking of junk food.But if you want to feed your family with aleast one healthy meal a day then this can be a very good option as it is tasty healthy easy & quick to prepare. Pressure cook dal with 2 cups water, salt & turmeric powder. Dal will be cooked after 1 long whistle on high flame & 2 small whistles on low flame. Rest it to release the pressure. Knead Flour with some salt & water like you knead it for your daily chapatis.Roll it into upto 4 cm diameter & make a flower of it by bringing four sides together in center. Now add remaining water in dal and bring it to boil. When it reaches to its boiling point drop flowers carefully one by one into it. Close the pressure cooker lid & cook it on medium flame till it whistles. Typically 5 -6 min. Switch off the gas & rest it again to release the pressure. In another pan heat oil . 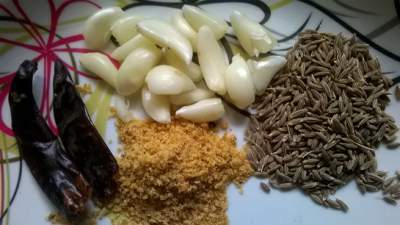 Add cumin seeds , asafoetida & splutter. After that add ginger garlic & onion. Cook till everything becomes golden brown.Pour immediately to the dal & phool mix. Serve hot with achar & papad. Its been months I couldn’t spare time to look after this space. However it was always there in my mind and I was missing it alot. 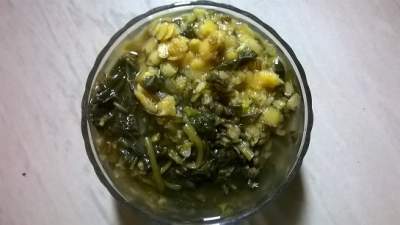 Now I am back and this time not to leave this space untouched for long and keep posting my favorite nutritious and easy to cook recipes.So today I am sharing a nutrient packed dish which is made by mixing green kulfa leaves with moong and tur dal. Sounds interesting !!! Here it goes…. 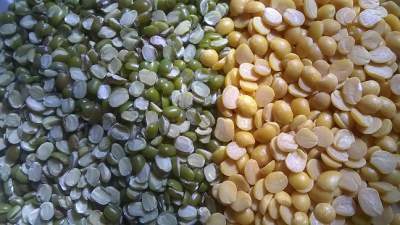 In a pressure cooker take both lentils kulfa & water & add salt to it. Cook on a high flame untill your pressure cooker whistles for the first time . Reduce the flame to sim and cook untill your pressure cooker whistles twice. Switch the gas off let the pressure go off and open the cooker. The mix will look like in the picture. Now thorughly mix this with the help of kalchul / mathani . Add little lukewarm water if it is too thick. Heat mustard oil in a tadka pan add asfoetida and immediately add cumin seeds , chopped garlic and chillies and dry red chilli so as avoid asfoetida to burn. Cook on a low flame. 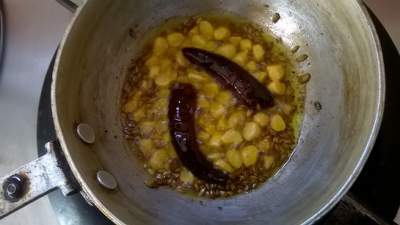 As soon as the garlic turn brown pour this tadka over the dal mix and cover with the lid immediately. This way you can avoid any splutter coming out and also this retains the smell of tadka in dal.